With Halloween coming up of course COMET TV is broadcasting some classic scary movies throughout the month of October. 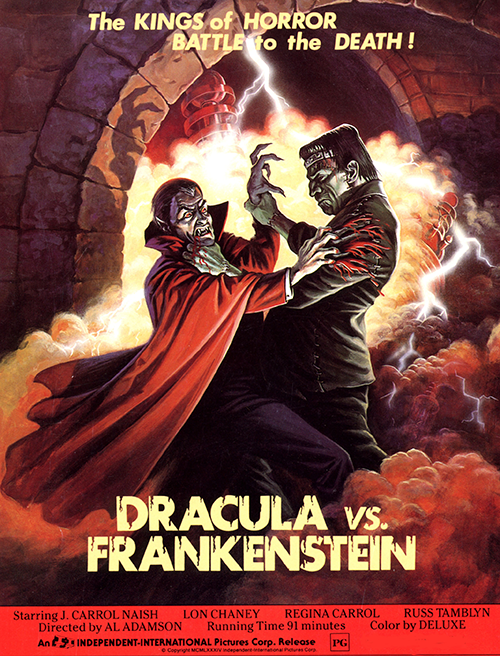 Tune in to see Dracula vs Frankenstein (1971), Cats Eyes (1985), Pit and the Pendulum (1961), and The Raven (1963). COMET TV is an over-air broadcast network that can be tuned in with a digital antenna and viewed subscription free. No need for cable, satellite or Wi-Fi, to watch COMET TV. In the Metro Detroit area of Michigan just tune to Channel 19-7 with a television antenna. COMET TV focuses on horror and science fiction programming so it is a channel I'm regularly tuning into. If the network isn't available to view locally, you can also watch it online via an iOS app, Roku, or cometTV.com. In addition to airing classic horror movies from the 60s, 70s and 80s they are also showing some more recent horror flicks this month as well including The Woods (2005), Silence of the Lambs (1991), Lord of Illusions (1995) and The Rage: Carrie 2 (1999). Sci-Fi fans aren't being left out this month either as COMET TV is airing ROBOCOP movie marathons throughout October. Plus the television show Andromeda begins airing this month on COMET TV. Based upon material by the late writer Gene Roddenberry, Andromeda revolves around the adventures of Captain Dylan Hunt and the crew of the Andromeda Ascendant as they try to restore the Systems Commonwealth, a government that was responsible for a time of extended peace and prosperity. A Geek Daddy has a prize pack of items highlighting this month's programming on COMET TV to giveaway. For a chance to win please follow @Geekdad248 on Twitter and retweet the embedded message below before 11:59 pm ET on Friday, October 27, 2017. Must be a United States resident over 18 years old to be eligible for the giveaway.